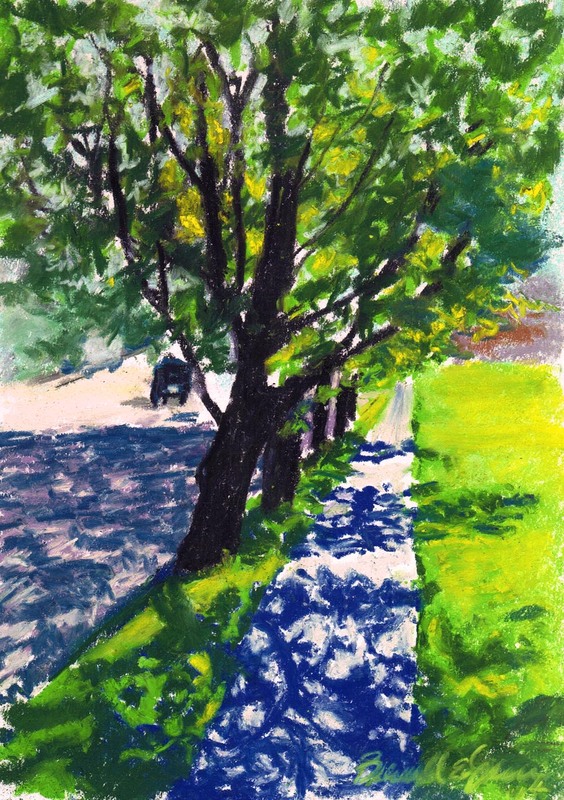 “Spring Sidewalk”, pastel on multi-media paper, 7″ x 10″, 2014 © Bernadette E. Kazmarski. The original is framed in a 1-1/2″ solid wood white molded frame with 1″ white mat and digital, giclee and canvas prints are available. Suddenly, it’s spring, and most days are really sunny! After this winter it’s totally captivating, and distracting. I can’t go anywhere without seeing possible paintings. Like this one, which I photographed as I didn’t have my sketching materials with me because, for the past couple of months, there hasn’t been anything I wanted to sketch, really. I’ll have to pick up the bag when I leave the house, along with my camera…so much to carry. 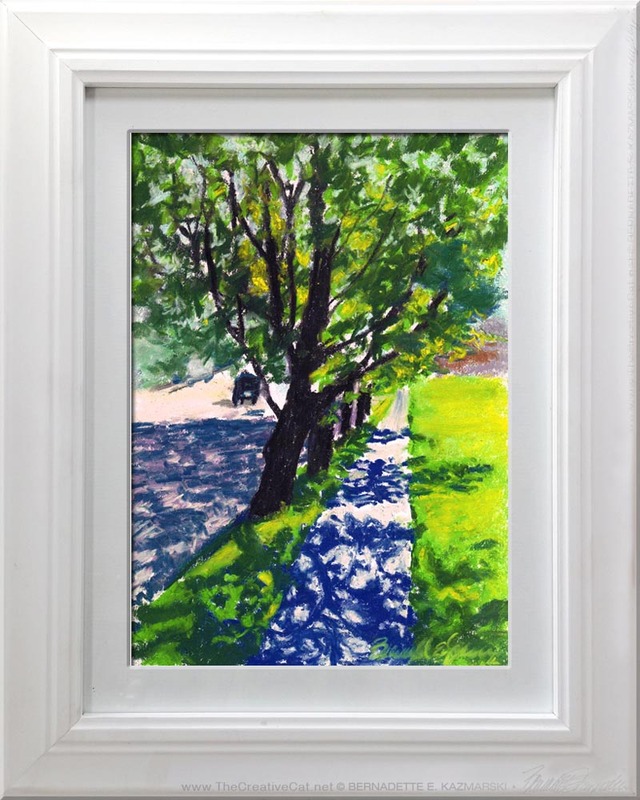 In part it was the loveliness of the row of trees, but it was also the deep shadows contrasted with the brilliant sunlight, the vivid green grass and young green leaves. It’s just a simple walk down a sidewalk, changing each minute of the day, and each day of spring, but still so special. This entry was posted on June 13, 2016 by Bernadette.